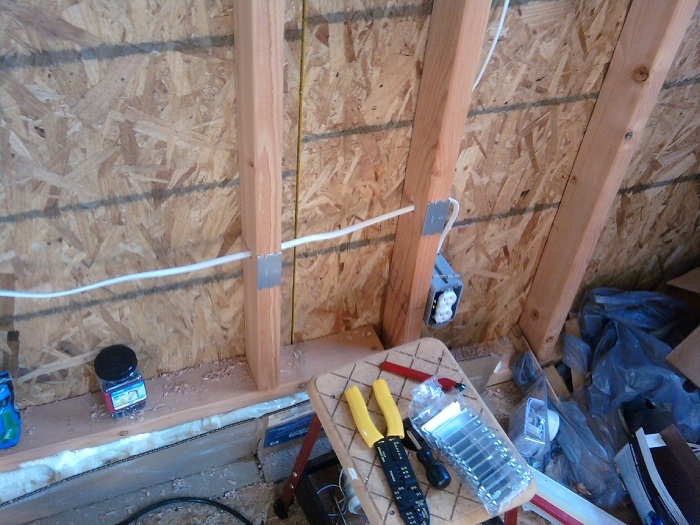 I finished installing the electrical system of the tiny house. 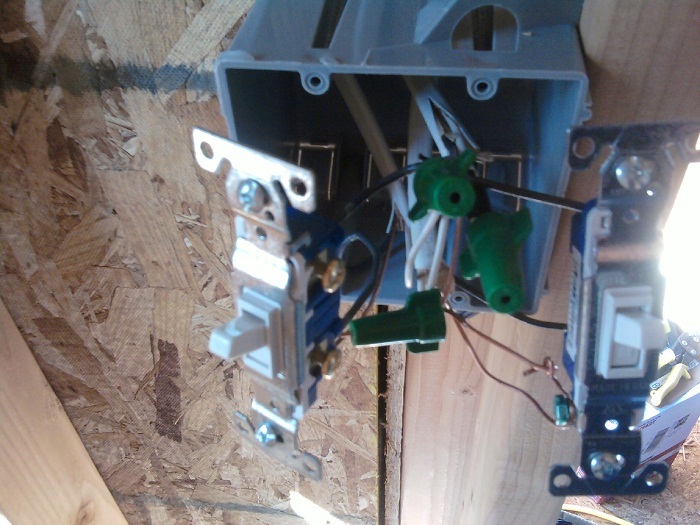 It consists of a weather proof plug to the outside for a 15A extension cord, a GFCI circuit box, a 15A circuit breaker, 6 switches, 5 outlets (receptacles) and places for 6 lights to be installed once I install the ceiling. I tested it all too. It was like magic the first time I plugged it in, reset the GFCI and heard the fan turn on. The bath fan is operational too. The reasoning for the circuit breaker was so that if the occupant overloads the circuit, they can restart it there in the closet rather than having to go find the circuit breaker in the main house or other system. 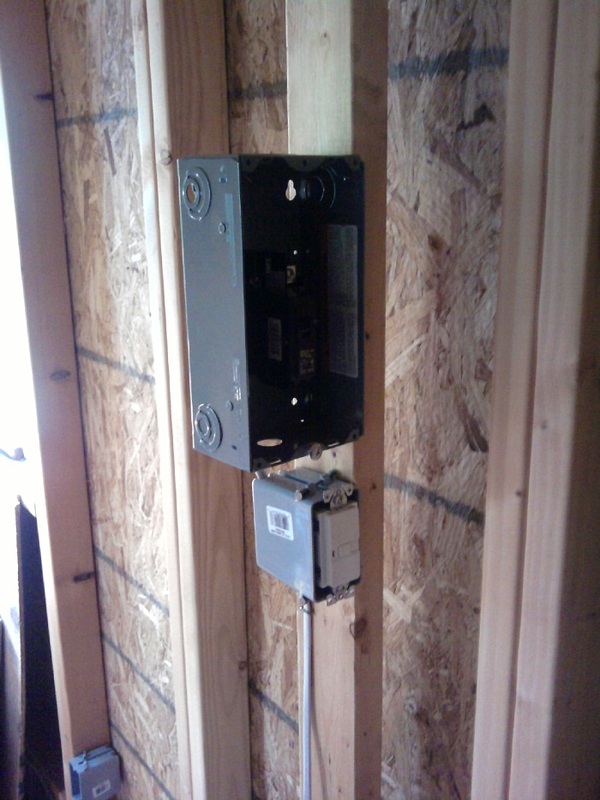 Just unplug something, flip the breaker back on and you’re in business. 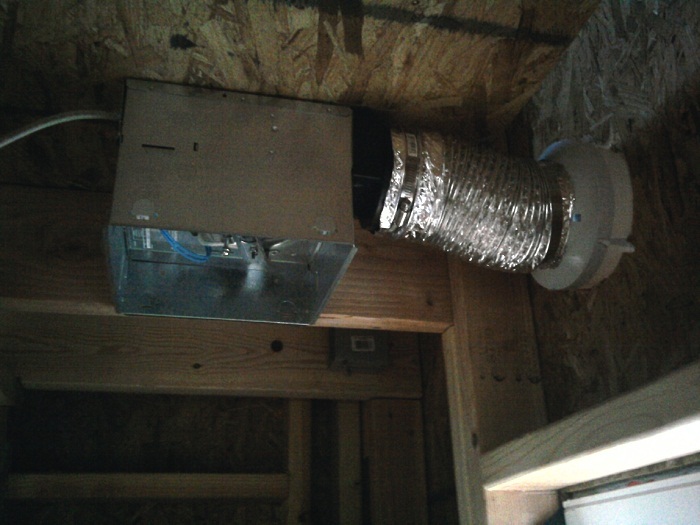 Then this is the GFCI and breaker box. I left the box open here but it will be sealed with a removable cover normally. The entire circuit for the house goes through both of these for safety. Here’s the bath fan. 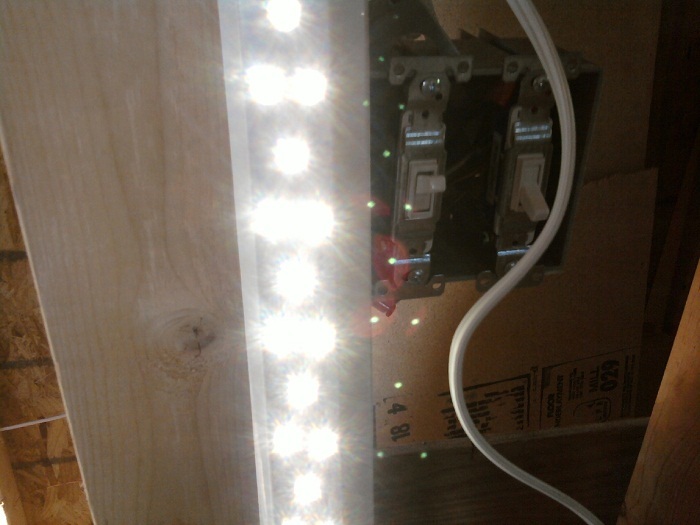 The light gets plugged in after I install the ceiling. The fan and the light are on the same switch. Here are one of the two double switches. This one turns on the porch light and the living room and study lights. The other double switch turn on the hall/pantry lights and the closet light. And finally… we have light! That’s one of the LED lights I plan to install in to light up the living room. There are two of those and a few box shaped ones for the hall/pantry, study, porch and closet. I was going to install one in the loft two but opted to leave an outlet and switch up there instead so the occupant can put their favorite lamp there. This entry was posted in Building Techniques, Supplies and tagged bath fan, electrical system, lights, tiny house. Bookmark the permalink. 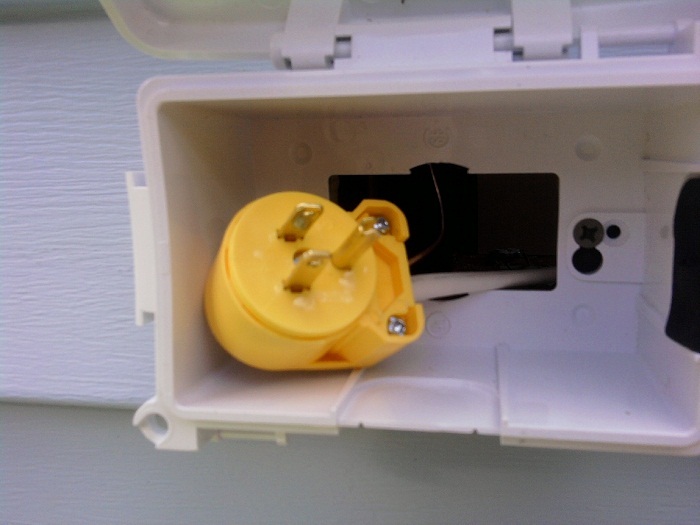 What will the electrical system in your home be able to handle component-wise? In the home I plan on undertaking in a few years, I’d want to power a small fridge, small microwave, video (21-ish inch flat screen TV), and a PC that I’d use to play DVD’s as well and LED lighting. I’m guessing this would exceed the capacity of a 15A system? I’m building a tiny house of my own and I’m very interested about where you got those LED lights. Would you please hip me to the website or store you found those at? I’ve been looking all over but everything is tremendously expensive and/or not right for the application. Please advise. P.S. Your tiny house looks great! Nicholas, I got everything except the trailer and the shower from Lowe’s. You might find something better in LED lights if you shop around though. How has this system worked for you? It looks like just what I was thinking of. I have a propane range and am going to get a propane water heater, so the only real draw (apart from a few lights and a laptop) on the electrical will be a small fridge and a space heater…seems like I might squeeze in under the 15 amps, though in the dead of winter it might go over sometimes. Emily, I sold the house shortly after it was completed. You will want to check your space heater though because many of them will take up nearly all 15 amps just by themselves. Make sure you follow all the safety precautions for gas. I had several people emailing me telling me about gas safety especially in winter when people tend to want to keep everything inside with them. Radiant heating panels use infrared energy to heat people.